Today we ran the single elimination in Klitmoller. Conditions were pretty good, with the occasional logo set coming though. In the morning the wind was light for a 5.8, but by the afternoon it was enough for a 4.9 and then it was really fun. I had a pretty good day, advancing through to 5th and eventually losing to Kevin Pritchard. 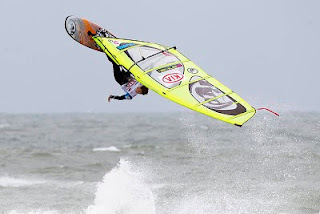 I had some good heats, but against KP I got stuck a bit too far downwind and struggled to end to the best spot for the riding. Still I am pretty happy and tomorrow it looks like we should have the double elimination in even better conditions, so looking forward to that. 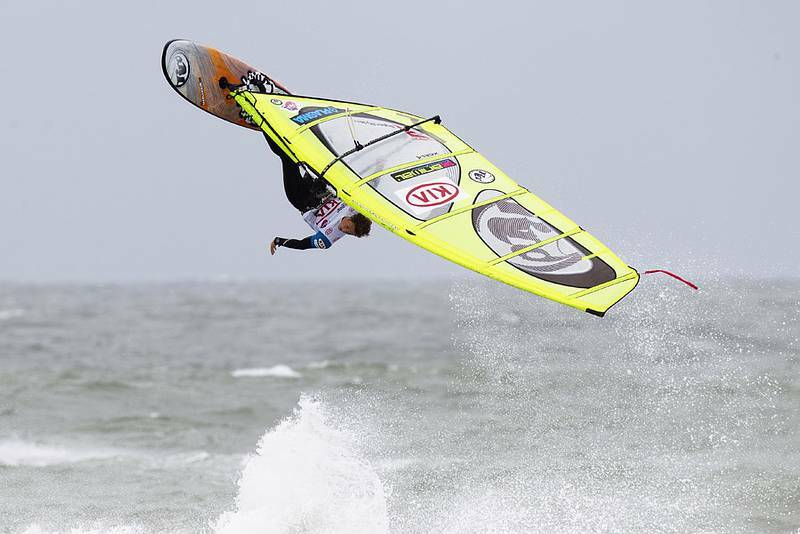 we have live video, so check out the www.pwaworldtour.com to watch the action live. Congratulations to Kauli for winning today and to Ricardo for making his first final in the waves. Lets see what happens tomorrow.